In this era of evolving technology, we ensure that we aren’t lacking behind when it comes to providing hi – tech solutions to our customers. We keep our eyes fixed on our customers mainly because the customer decides where our business goes. As the technology evolves and building connections becomes essential, customers as well as customer service gain popularity simultaneously. Customer service remains at the top of every business’s concerns, thus we need to help them discover new products and services which generate revenue. Customers want to be guided through complex online transactions in a way that is easy to understand. That being said, we do everything solely to increase customer satisfaction and build a rapport with them. 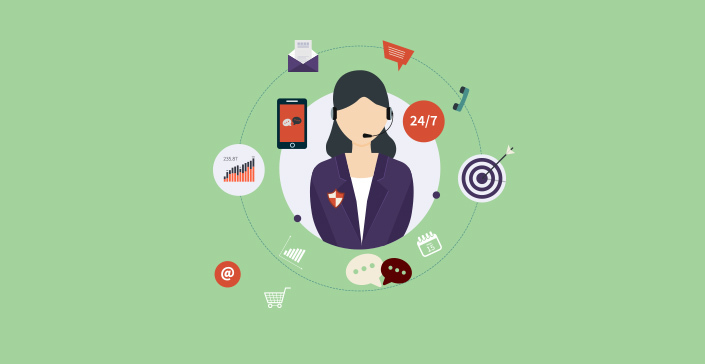 While there exist an umpteen number of ways to increase customer engagement and satisfaction, some tools are certainly considered better than the others. This is where Co-browsing comes into the picture. What does Co-browsing do for your business and your customers? Increase in Sales Revenue: With the help of Co-browsing, you can assist your customers in real-time to boost the shopping cart value. You can also guide them to uncovered products and services which they might not have come across without assistance. Sharing to Build Loyalty: Provide your customers with real-time assistance and establish a visual and personal connection to the brand. Engaging in face-to-face conversations builds trust and boosts conversion rates. Reduction in Abandonment Rates: With Co-browsing, you can simply engage customers using visual cues and prevent them from vacating your site immediately. The abandonment rates go down considerably if the customer is in a face-to-face engagement with the agent. Rapid Resolution of Queries: Companies can quickly solve the customer’s queries via direct visuals and directions rather than giving them prolonged explanations over E-mails or Phone. Resolving issues becomes effortless with the Co-browsing technology. Co-browsing is also compatible with mobiles and customers can use it effortlessly, anytime they want. Co-browsing essentially improves first – call resolution and encourages customers to migrate towards self – service. Co-browsing requires no installation and by simply linking the web page with your customers, you can provide them with quick solutions and conduct online transactions. The Co-browsing technology literally lets you be on the same page as your customers. This increases the pace of solving customer queries along with conversion rates. Once your customers know that you will be there for them the moment they face a difficulty, they will automatically feel secure and catered to, which in turn will encourage great goodwill and trust for your business. Therefore, Co-browsing proves to be the ultimate tool for resolving the 21st century’s customer’s queries. Thus, adapt to the trendy usage of Co-browsing and put giant smiles on the faces of your customers because this is, indeed, a customer – driven world and they need to be satisfied in order for your business to excel.